Zong Lor is Hmong/ Asian American. 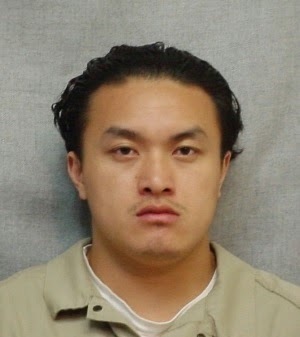 Born IN 1980, he is 34 and has been incarcerated since 1999. Was 18 years old at arrest and a gang member. Record in Prisoner has been excellent and has satisfies all program needs. Was given a 48 month defer at last hearing . Excuses Given For Denial: "Release at this time would involve an unreasonable risk to the public" & "You have NOT served sufficient time for punishment". and I made a poor decision to shoot at rival gang members. I didn't intend to hurt anyone, but sadly someone died as a result. I'm very sorry for what I've done. I sincerely regret it and I wish I could undo it. I've been incarcerated for 16 1/2 years now and I have matured tremendously. I'm not a gang-member anymore and my institution record would support such conclusion. I have successfully completed both of my program requirements and many other volunteer programs. I have received excellent prison work-evaluatuions from work supervisors. And I have a strong family support system upon release. In my past I was a gang-member, but I refuse to allow my past to dictate my future. Today I am a caring man, concerned for my family, and very conscious of making good decisions in life. I humbly ask that society trust me again because I'm ready to contribute to my community in a positive way. Note: in a following note Zong Lor also states he has obtained excellent work evaluations form supervisors and has stayed out of trouble and never been a threat to the security of any institution. Today a No Action review was conducted for this case and it was determined to defer your next review for 48 months. This is your 1st incarceration and 12 years 6 months has been served of a 50 year sentence structure for 1st Deg RH w/u of Dang Wpn (PTAC) (45 yrs) and AU 1st Deg RI w/u of Dang Wpn (5 yrs CS). At the age of 19 y/o and after having been a member of the Asian Crips for five years, you and fellow gang members drove past a rival gang members home during which time you fired at the house. One member was shot and killed and another rival gang member was victim to your shooting; however he didn't suffer any injuries. Last month, at the initial hearing, you indicated that you take full responsibility for your actions and that you indeed did shoot the gun, but you didn't intend to kill anyone. When asked how you could shoot at a home and not expect someone to die, you explained that other members had shot at members of this rival gang in the past with no one dying; you didn't think someone would die because you weren't using a high powered gun like an AK 47, and you were only shooting to scare/warn them to stop shooting at your fellow gang members. You were convicted of Reckless Homicide instead of Intentional Homicide and it was explained at last month's hearing that the Commission is looking at the conviction; therefore intent is already factored in by virtue of the conviction. You had a record limited to a juvenile conviction of OVWOC which you report occurred when you were 13 y/o and a friend decided to break into a car so you rode along. In terms of your gang involvement you maintain that you outgrew the gang while incarcerated and haven't been involved for years. Institution adjustment has been positive with limited misconduct and involvement in self help programming. You've also obtained an HSED and completed VOC Ed Microsoft Office. You were employed and quit your job in May; but then began volunteering in the Servery and recently started working officially in paid status as of this week. You're proposing to reside with your parents in Milwaukee and that plan will need the eventual approval of your agent. At a young age you chose to engage in very dangerous behavior which resulted in loss of life and a lengthy period of time should be served so as not to depreciate the seriousness of your actions with an early release in the near future. You're making the most of your incarceration time and you're urged to continue in that maimer. During your incarceration it will be importailt to demonstrate increased maturity and better decision making than was exhibited when you chose to shoot-at people to "send a message." That type of behavior put members of the community at risk and it's unfortunate that someone had to lose their life in order for you to understand the consequences that can result from shooting at people. Maintaining positive adjustment, serving more time, demonstrating better decision making and communication skills, and eventually transitioning through reduced levels of custody will all contribute toward mitigating your risk level. **If you would like further clarification of the decision, and comments in the report, you may request an interpretive interview through the Social Worker.